Vickers Pools of the Southeast, Inc.
Vickers Pools of the Southeast is a gold member of the industry's finest foundation, Genesis Design Group and exclusively specializes in" Gunite" water shapes. A Gunite pool is a commitment to a new lifestyle. Your backyard will become a renewed source of relaxation, a private place to exercise, and a fun destination for picnics and parties. Nestled among lush gardens, melding with your architectural style, your Gunite pool becomes an extension of you and your home. In addition to providing a convenient place to cool off, exercise, and gather with family and friends, an in ground pool represents a major investment in your home. Before diving into details about measurements, materials, and other necessities, use this website to think through some basics about pool ownership. Design, engineering, consulting and construction of all types of water shapes and their environments. Projects include all aspects of water in transit such as pools, spas, and fountains both residential and commercial. From new swimming pool and spa installation, to maintenance and renovation, Hollywood Pools will keep your pool or spa sparkling and enjoyable for years to come. We offer a complete line of chemicals and accessories for the do-it-yourselfer, as well as providing regularly scheduled pool and spa maintenance by friendly, knowledgable, trained technicians. Let us put our expertise to work for you! We at Elite Pool Service know how important your pool can be when it comes to your relaxation. Let us take a load off your mind by facilitating a clean, healthy pool environment. Clearwater Pools has been building and servicing quality pools since 1981. We are experienced and qualified to design and build your pool or work with a Landscape Architect and designer of your choice. As the oldest STATE licensed pool contractor in the Birmingham area, we strive for absolute quality and customer satisfaction. Clearwater Pools uses only the highest quality products with the best warranties available. Whether you intend to build a new swimming pool or would like to upgrade an existing one, we promise to provide quality work, strong customer service, and the full breadth of our experience. We can help you design a project that is as complex or simple as your vision, the site, and your budget will warrant. Get in touch with us today to schedule an appointment! We are a family-owned business with over 18 years of experience. Our team specializes in designing and constructing swimming pools, gardens, and outdoor hardscapes such as fireplaces, retaining walls, kitchens and water features in Birmingham, Al. We pride ourselves in listening to our customers’ project ideas and working with them side-by-side to bring their construction dreams to reality! Call us today (205) 849-9117! At Shoemaker Pool Service, Inc. we want to provide backyard environments for our customers to enjoy with their friends and families for years to come. We want them to have a space for birthday parties, team parties, graduation parties and even one day engagement and wedding parties. We use the best materials and the best building practices to provide a finished product that offers the most user friendly pool possible. As a result of our practices, we build incredible pools and surrounding outdoor spaces. 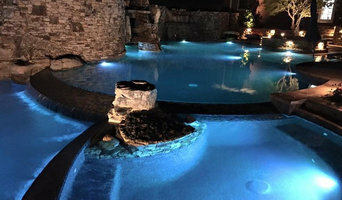 At Atkinson Pools, LLC, we offer many different pool services and have over 15 years of experience building, renovating, and restoring pools and spas. We specialize in top parallel pool installation, renovation, and repair. Our customer service with one-on-one attention makes us a step above the rest. Contact Ted Atkinson, owner of Atkinson Pools, LLC today and learn how to create the pool of your dreams. Total Pool Service in Riverside is ready and able to take care of all the maintenance and cleaning chores that come with pool ownership so you can just relax and enjoy your pool. We offer our homeowners a superior reliable Riverside pool service at affordable prices, starting with our basic service at just $69 per month for a full chemical and filter cleaning service. All of our technicians are National Swimming Pool Foundation Certified Pool Operator (CPO®) certified and know precisely what to do to keep your pool in sparkling condition. At Southland Fiberglass, we offer 3 fantastic products that will make your home SIGNIFICANTLY more enjoyable for many years to come. Whether it's an inground swimming pool, or a relaxing, energy-efficient hot tub, or a stunning sunroom, we've done the research for you already. We know which brands provide superior quality and the best value. AND we have the talent and experience to install them correctly and efficiently, in the shortest amount of time possible. We're a family-owned business that's never had a BBB complaint in more than 35 years of serving greater Alabama. We look forward to helping you enjoy life more, and make your dreams come true. Just give us a call at (205) 486-7919. Marie's Pool Store in Anniston, AL is pool contractor that offers professional pool maintenance services. Some of our services include leak detection, spa repair, step repair, heater repair, or new pool construction. We also install and service the products that we sell. We offer in-house repairs and warranty service on automatic pool cleaners. We are also a Polaris warranty center. Our certified technicians have been serving the Anniston area for over 28 years. We have been serving the people of Tuscaloosa for 30 years! We offer a wide range of services to meet ALL of your pool care needs! From pool repair and installation to water treatment, let us make your pool experience GREAT! We offer swimming pool services, concrete coating, and landscaping. Serving the Birmingham Area and surrounding. Our goal is to provide the best possible landscaping and pool maintenance services, while providing reasonable prices and personalized customer service. Owning a swimming pool is an exciting but involved prospect. Failure to care for your pool correctly will result in severely unbalanced water pH and eventually will be unsuitable for you and others to enjoy. Steel City Pools provides year-round swimming pool cleaning and maintenance, swimming pool repair, as well as pool plaster resurfacing and retiling, decking restoration, and coping renovation for public and private swimming pools. What exactly do Brook Highland pool builders do? If you are planning for a new pool in Brook Highland, AL, a swimming pool builder will analyze your outdoor space and your aesthetic wishes to determine an appropriate design for your yard, installing it once the plan is developed and approved. Once installed, some pool companies in Brook Highland, AL can handle the necessary cleanings, water testing, renovations and equipment replacement or repairs for your pool or spa. If not, many can also suggest Brook Highland, AL swimming pool contractors or maintenance services to help with upkeep or repairs down the road. Here are some related professionals and vendors to complement the work of swimming pool builders: Garden & Landscape Supplies, Landscape Architects & Landscape Designers, General Contractors, Landscape Contractors, Solar Energy Contractors. Before hiring a swimming pool construction company to create your new Brook Highland, AL pool, determine how you'll be using it. Will it be for fun or for lap exercise? Will the primary users be children, adults or a mix of the two? Knowing the use can help you find Brook Highland pool builders who shares your aesthetic. Once you find swimming pool builders in Brook Highland, AL who share your style, research is critical. Review customer references and comments, collect at least three to four estimates to compare, meet with potential Brook Highland pool designers and builders in person and ensure that they are Alabama certified service professionals and licensed with the registrar of contractors before making any final decisions. In addition, get a sense whether they plan to complete the pool installation and be done with it, or whether they seem interested in building a long-term relationship with you. Be wary of the former: it's likely a reflection on the level of quality of the pool construction they do. 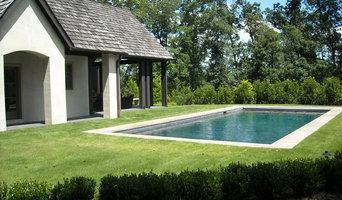 Find a Brook Highland pool contractor or designer on Houzz. 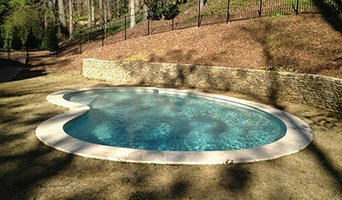 Narrow your search in the Professionals section of the website to pool builders in Brook Highland, AL. You can also look through Brook Highland, AL photos by style to find a pool or spa you like, then contact the local pool company who designed it.